As I mentioned in a previous post, May was full of medical appointments for K. In reverse order she was seen by GI, pulmonology, the dentist, her mito specialist, and her pediatrician…it won’t make for a super interesting post, but it helps me keep up with it to write it down here. This was our first time seeing Dr. R and he was very nice and took a good amount of time reviewing K’s history. K has previously seen a different Dr. R for her GI issues, but since her appointment with Dr. R1 was canceled due to an insurance issue, we decided to try Dr. R2 since he follows most of the other mito kids we know and her issues have gotten progressively more complex. Basically, Dr. R2 decided to keep things as-is to get a baseline on her functioning, but then we saw Dr. C for motility a few weeks later (which you can read about here: https://ourlifewithk.wordpress.com/2013/06/11/motility-appointment/) and he totally changed up her GI protocol…guess that is what happens when you have 2 docs working on the same organ system! He also ordered liver labs to see if they are still elevated (as they always seem to be) and said she may need an ultrasound, if so. I’m waiting for a call about her labs currently! We went over the results of K’s full PFTs (pulmonary function testing) which were mostly good, except for some signs of air trapping (meaning that she isn’t able to fully exhale, likely due to underlying muscle weakness). Her spirometry was still looking great, so we are continuing to wean down her Flovent. We were supposed to have a new sleep study last Friday to titrate her supplemental oxygen use at night and check on her central apneas, but it had to be pushed back because of all of the craziness that came along with her recent hospital stay. We’ll tackle that in July, I suppose! As far of the rest of her respiratory stuff goes, she’s still doing pretty well at the moment! She needed supplemental O2 after her Field Day exertions (and being sick), but otherwise she hasn’t needed daytime O2 for quite a long time! I hope her sats continue to stay in an acceptable range as the summer temps rise (unlike last year). The dentist is the LEAST favorite of all of K’s appointments. She would rather have an IV placed or surgery or ANYTHING rather than see the dentist. Regardless of that, she did pretty well (for her). No x-rays this time and she let them use the spinny brush, rather than the plain old home-style toothbrush. Progress! Great appointment. Overall things are going well for K except for her iffy gut, so there was not a lot to discuss here. The CoQ10 and increased fluids seem to be helping her quite a bit. K and I filled out a dysautonomia (autonomic nervous system is what kicks the body into fight or flight mode, in dysautonomia the body is kicked into this mode unnecessarily, causing a host of problems) questionnaire, but I don’t have the results of it yet so I’m not sure if she will be referred out for a tilt table test. Her eyesight was a bit worse in spite of her new glasses, but she shockingly passed her hearing test! 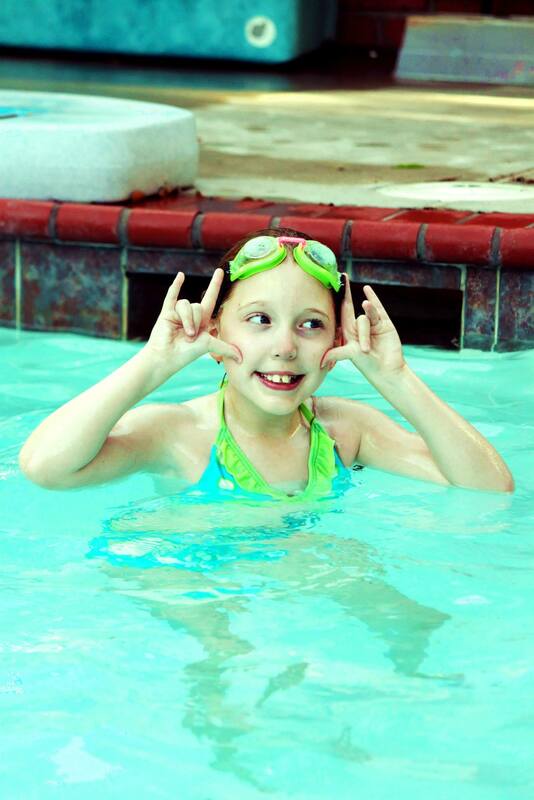 In case you don’t know, K is profoundly deaf in her left ear…so truly passing that test is impossible. The pediatrician said, “Oh, I guess we need to get the machine recalibrated!” YUP! Her height and weight are perfect and the pediatrician said, “Maybe I should be tube-fed. I’d probably have a healthier diet and be a little skinnier, too!” And K said, “What?! No! You’re like a SUPERMODEL!” The pediatrician said, “K, have I ever told you that I love you? You’re my favorite.” 🙂 We also discussed K’s storm anxiety (no help) and got her handicap placard form filled out. Whew! That should be our last burst of medical appointments for a few months, with the exception of her upcoming sleep study and sitz marker study in July and her motility follow-up in August. BUSY month for you guys! But so thankful that you got some answers and are changing some things for the better! G’s liver enzymes are always slightly elevated too- hmmm.